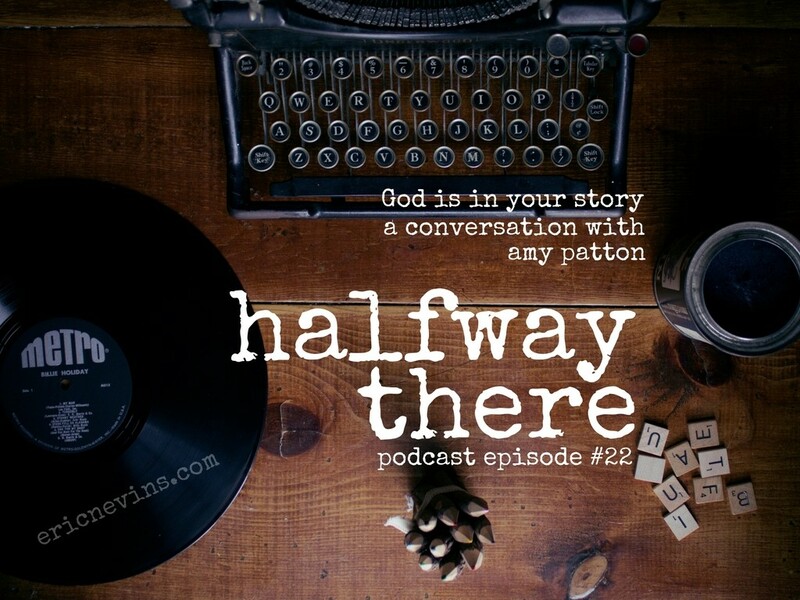 Today’s conversation is with Amy E. Patton who shares how she learned to see God in her story. While she was a believer, it took a special community accepting her faults and all to help her understand the God could accept her too. Amy began to believe that God could use her, too, which led her in the direction of missions, story, and words. Jesus, this has nothing to do with heaven anymore. This has to do with me wanting to know you. And in that moment everything changed. All that ability and work and trying to be good enough for Jesus to love me just fell away. God, I will did into my story but I need you to show me where you are. In safe places with safe people as I began to share my story, I quickly discovered that they still loved me. One of the great things about fiction is sometimes we’re not ready for the truth. And we can remove ourselves, and kind of go to that place the author has created and wrestle with an idea and later on realize this is my life too. 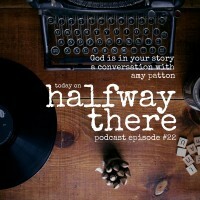 If you enjoyed hearing Amy’s story you will want check out her blog at amyepatton.com! I’ve been reading Amy’s blog for over a year and I think you’ll be encouraged by it. By the way, her post about refugees is called 7 Important Facts About the Refugee Crisis & Why It Should Matter to You. Read it and let her know you heard her on Halfway There! Eric, It was an honor to share my story. Thank you for the opportunity. I look forward to connecting with you and your audience. Blessings and Joy! Amy was super encouraging. Always giving uplifting and inspiring tips.